✅ Trip Verified | Johannesburg to Maputo. I like SAA, and they are always punctual. What I take exception to is their business class cabins on the A319 aircraft with 5 across seating, noticeably different to their A320s with only 4 across. 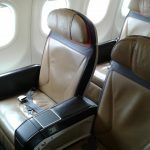 SAA should not be selling the middle seat to ensure conformity. As the airline is struggling financially, I would have though it can't afford to alienate premium customers, but henceforth, if a flight is operated with an A319, I'll downgrade to Economy and save a small fortune. Serving lunch at 0930 in the morning is silly. Most passengers wanted tea and coffee and the crew had a trolley full of wine and champagne. Net effect, the crew really struggled to effectively serve hot drinks to a full cabin, they did just about manage, but it's obvious here whoever makes the catering decisions at SAA has done so to make his/her life easier, not the crew or the passengers. "could not cancel my flight"
✅ Trip Verified | Cape Town to George. I have never come across a more unprofessional, inefficient airline in my life. After having unplanned surgery days before my flight, I couldn't make my flight. As a result, (and including the travel insurance which I bought) I could not change my flight without paying the fee of the flight again and could not cancel my flight and get a refund on my booking. After calling in and being on hold, I spoke to an extremely rude woman who did not understand and could not answer my basic questions. 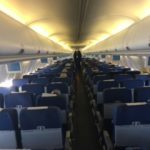 I was told that if I were a gold-card member that I would be able to change my flight but as I am just an economy member, there is nothing they can do for me. After asking to speak to a manager I was put on hold for 30 minutes and eventually decided to write this review. ✅ Trip Verified | Sao Paulo to Hong Kong via Johannesburg. I had a okay flight from São Paulo to Johannesburg even tho the food experience was not good at all. My flight from Johannesburg to Hong Kong was canceled after we waited 3 hours inside of the plane for technical problems fixing. Apparently the aircraft had less then 50% air pressure and it was insufficient to a flight over 12 hours. We had to wait inside of the airplane for 3 hours (without airconditioning) just so they end up telling us that the flight is cancelled and we would flight the next day. They provided hotel but my flight was over 24 hours after. They could have changed aircraft or being nicer to costumers that were in the delayed flight. Instead I had to keep calling them for information about when I would flight and got very rude attitude from the staff (I wanted to upgrade my flight from economy to business due to being 6 months pregnant). They were not willing to help and were very inefficient even tho I was paying for the upgrade. The last problem was that I had a connecting flight in HK and they said they were unable to check my luggage straight to the final destination so I would have to check out in HK get my luggage and check in again with the spare time of 1 hours between flights. "could not have been more disappointed"
✅ Trip Verified | Flew New York City to Johannesburg. Overall I could not have been more disappointed in this flight and airplane. For a 15 hour flight, the majority of the headphones jacks did not work and there was no option to use different headphones. There was no way to charge devices and no offer of internet (even at a charge). The crew was incredibly rude. We asked for water when they were serving coffee and got a strong eye roll even though water was on their cart. It was very disheartening. The food was packaged months ago and the majority of it made me nauseous from the smell. The only benefit to this flight was the cost however next time we will be paying the extra to fly Delta from Atlanta. It is time for South African Airways to update this plane or to only use it for shorter trips. It is just simply too out of date for this time of trip and is not fair to customers. 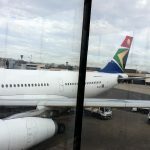 "SAA is a solid airline"
✅ Trip Verified | Johannesburg to Perth was a mirror image of of the outbound. Hardly surprising since it was the same aircraft. Friendly crew and everything pretty much on the dot. Improvements? Firstly the quality of F & B. Par for the course but what about adding say a fiery Durban chicken curry to the mix? Something which says South Africa. Secondly the IFE is a bit dismal. It works and has a choice of viewing but its old. Thirdly, new aircraft. The A340 is a favourite but showing its a bit dated. A shiny 330, 350 or 789 would really elevate the experience. If not then refurbish the interiors. SAA is a solid airline but not yet up there with the Asian carriers. A word on OR Tambo airport in Johannesburg. I fell in between alliances. Im One World with Emerald status but flying Star Alliance (having insufficient status there). So the Emirates and SAA lounges were off limits, the Aspire lounge was pay as you go and so ended up at the Shongolo lounge which Qantas uses. Its ok as a place to shower up and sit. OR Tambo airport is terrible for seating if not in a lounge. Overall and being born in SA and a regular visitor, the whole experience was like Africa: chaotic in part, colourful but it will get you there eventually. ✅ Trip Verified | Perth to Johannesburg. This was by far the most economic way to get to Johannesburg from Sydney. Qantas, my usual rise, was roughly double for direct service. Flying to Perth first with Virgin meant all my check in and boarding cards were issued in Sydney. Not having any checked baggage meant a clean passage through from Sydney to Johannesburg. Flight to Perth was fine, nice shiny A330-300 and typical Virgin cheerfulness. Now the SAA experience. Perth airport, Terminal 1, is a dismal place for an international departures terminal. Being a Qantas FF meant little and could not enter the lounge there run by Qantas but for other airlines. The lack of F & B amenity is simple to explain: Perth is not a major destination for international airlines. It is linked to the rest of the world with Emirates, Cathy I assume and Singapore airlines plus a few others. The boarding process was fine, seat was comfortable and a smooth ride. One single meal service in the evening which I declined having had something at the terminal (a burger and chips fills the gap). No snacks or refreshment between meals. Breakfast I usually avoid and so it was the case here. Smooth landing and into Johannesburg at 4.30 am. Out of the terminal doors by 4.55am. SAA are remind me a bit of British Airways. Good in parts, not so good in others and they get you there safely. It would be nice if they could have a little bit more of Africa in their overall experience. ✅ Trip Verified | London to Cape Town via Johannesburg. Bearing in mind previous reviews it was with some trepidation that we boarded SA235 on 5 Feb. However we were very pleasantly surprised. The flight took off only 5 minutes late and arrived 30 minutes early. The plane was pretty new, the cabin was bright, cheery and the crew friendly and cheerful with great uniforms. Great food too and a proper breakfast not a cereal bar! Sadly the whole experience knocked BA in to a cocked hat. The onward flight to CPT was in an older plane but still on time and we had no complaints other than in the new A330-300s the seats are a bit hard and the tray tables ridiculously small! However we would certainly fly SAA again. "great crew and great food"
Not Verified | Port Elizabeth to London via Johannesburg. Another excellent journey. Both flights on time, both planes almost new with bright cabins, great crew and great food. SAA are a revelation compared to BA. ✅ Trip Verified | Johannesburg to New York. We followed the normal reporting process and e-mailed SAA two weeks ago with no response. We reserved 3 seats for the trip going to New York and our return flight back to JHB. Before boarding this flight I phoned SAA and raised my concerns about on board entertainment systems being faulty which were laid to rest by your call centre lady saying I must request the ground staff to check entertainment systems before we take off to see if our systems are working so if there are technical problems they can be sorted before the plane hits the runway then it would be too late. This however did not prove to be factual at all. Once at the terminal the staff on the plane were rude and told us the systems could not be checked until the plane was in the air. So we sat back and waited hoping all would be okay until the emergency demonstration had been done and the entertainment systems started getting switched on then we started to see the overhead lights coming on one after the other. At this time we were still trying to figure out how to pull our entertainment systems from under our seats. With our luck Seat 45D had a picture but no sound. Seat 45E and 45F no picture or sound. So we complained with the other 20 or odd passengers at the time so they announced they were going to reboot the system. This happened twice. No change. 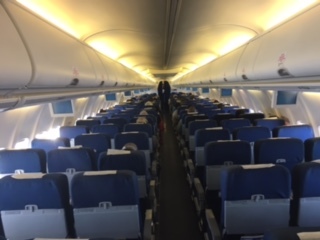 The plane was not full so they started to move passengers around to seats to where there were screens to see if they could find available entertainment. My friend was moved twice and then gave up due to not being successful and came back to her seat next to me. The air was so hot where we were sitting we could not take it another minute so we called the air hostess who said she could not understand why it would only be our row. She came back later and said afterwards that there was a distinct temperature difference between the rest of the plane and our section and she would try and resolve it for us. She was very apologetic and accommodating. 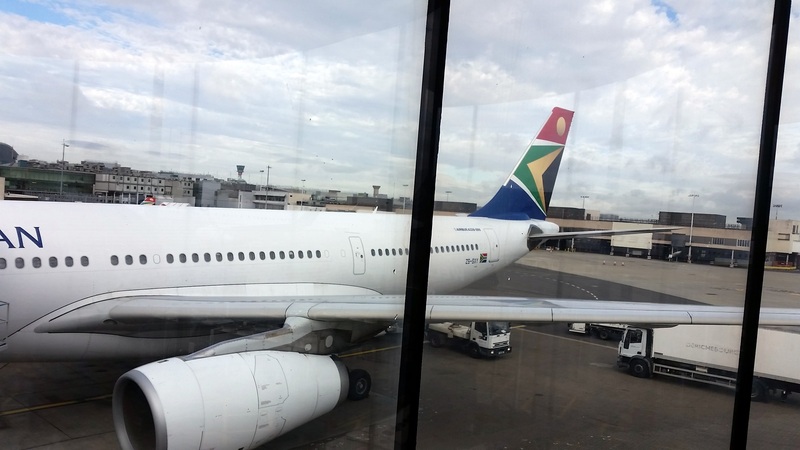 We were hoping that our return flight would be on a different plane as we checked and saw SAA has a few of these planes on their fleet and thought the likelihood of getting such bad luck a second time running in one trip would be unheard of. So we still went for the extra legroom and kept our reserved seats that we paid the additional R750.00 per person for, and lo and behold on flight SA204 departing from New York the seats I reserved again this time no sound no picture And a sweat box for the full flight. ✅ Trip Verified | Johannesburg to Lodon. We booked the flight and also made advanced seat selection seats 55H and 55 K (more leg space) on 3d of August. Reason is that I am 1,90 m long. 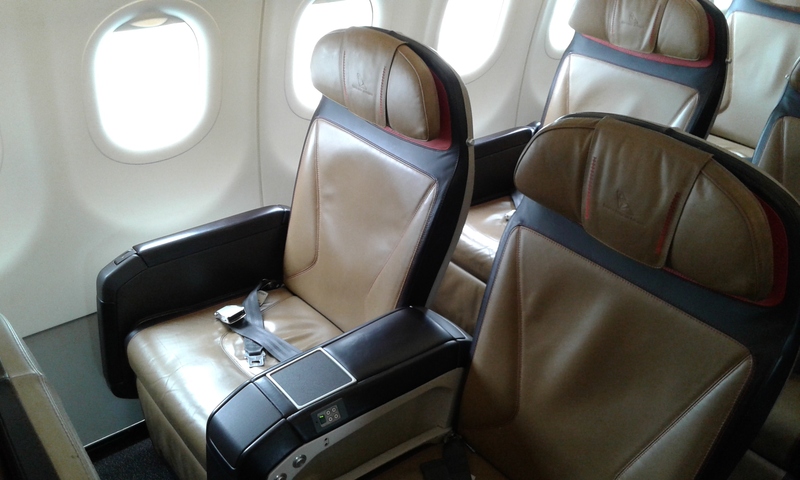 On the flight SA 234 on Friday the 11th from Johannesburg the airline has changed the type of airplane. They did not inform us before by e-mail, WhattApp, on there own SA-APP and also not at the counterdesk where we put our luggage. Therefore we paid for nothing and other people were sitting The staff of SA in the plain didn't do anything to help us and only said you can get your extra seat costs back at the counter in London.We didn't have a chance to upgrade or change our seats. We could not go to the counter because we had a connecting flight 1 hour later to Schiphol Amsterdam.It was very disappointed. I have sent an e-mail to SA customer services directly but did not receive any reply till now. On top of that a staffmember suddenly came in the plane with a insectide in aerosol and sprayed us all. It was a disaster. Total no feeling to the client. I shall not recommend SAA to anybody.